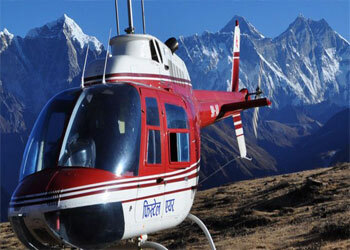 Nepal Heli Trek is one of the exciting adventure that falls under adventurous Trekking in the Himalayas. It is mostly designed for those who have limited time to spend and also for those wants to walk less. The helicopter trek not only includes sightseeing and adventure but also offers rescue, medical evacuation etc when needed. Nepal is also known to be the land of Sagarmatha (Mt. Everest, 8848 m), the highest peak in the world with other 1310 mountain peaks. Other peaks in Nepal are Kanchenjunga, Cho-Oyo, Makalu, Manaslu, Annapurna, Dhaulagiri, Lhotse, etc. Trekking is by far the most significant tourism industry in Nepal attracting climbers from all over the globe. Nepal trekking presents walking around, ground of yaks and yetis, Stupas and legendary Sherpa, the most outstanding celebration escapade trekking in Nepal onward and travelers target with remarkable countryside side, the summit of the highest mountains in the world, snow white Himalaya passes, glaciers and ice falls, superlative Himalaya landscapes and remote framework. Nepal is the favored destination in the world for trekking, mountaineering, whitewater rafting, wildlife safari and other many different adventure activities due to its extreme high Himalayan ranges and incredible biodiversity. Nepal is one of the best countries in the world for a cultural and historical tour with its long history, fascinating art, and distinctive and varied architecture. Nepal’s natural beauty and common tradition and culture are widely famous for its uniqueness and charm to the world. Nepal travel is an exciting jumble of fascinating land of ancient history, vibrant, colorful culture and tolerant people. And one of the most stunning and exciting Trek for every people having less time can be Heli Trek. Helicopter Trek in Nepal includes Everest base camp Heli trek, Annapurna Base camp Heli trek, Langtang Heli trek, and Everest panorama trek helicopter rides back. The amazing view of the beautiful country from above the mountains and Himalayas of Nepal is worth watching.